7 Things you may not heard about Rottweilers. 1.They are named after the town named Rottweil,southwestern Germany.From this town the dog breed gets its name. 2. 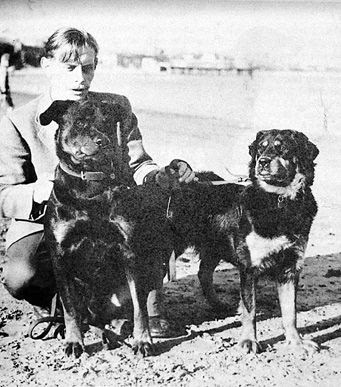 They were recognized by the American Kennel Club (AKC) in 1935. 3.Rottweilers are known as very good guard and security dogs, In World War I and World War II, Rottweilers were used in many military roles. 4. 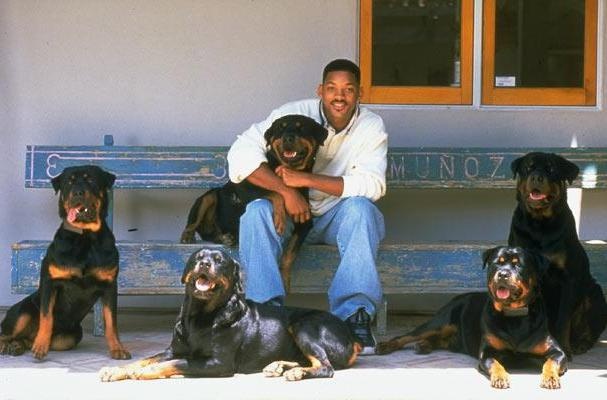 Will Smith and his wife Jada Pinkett own five Rottweilers at their home in California. 5. According to AKC, Rottweilers are are the 10th most popular breed in America. 6.The Average life expectancy for a rottweiler is somewhere between 7 and 10 years. 7. The first Rottweiler was imported from Germany in USA in 1928, and into the UK in1936.